Our experienced and professional painters at our Saskatoon location provide painting services that will exceed your expectations. From large to small projects we provide quality results to suit your needs. At Everline Coatings and Services, our Saskatoon location proudly offers high quality painting solutions for commercial and industrial buildings. We’re prepared to help with all of your commercial and industrial painting needs. Whether it’s a new coat of paint for your office or you need an entire commercial building repainted, no job is too big or too small. Our highly trained crews approach every job with the same mindset, striving for professionalism and precision in their work. We are equipped to handle both interior and exterior painting projects for our clients. Our Saskatoon EverLine location employs some of the most experienced and trained painters in the region. Our crews have seen and done it all when it comes to painting projects. Regardless of how big, small or difficult the job may be, our Saskatoon crews are ready to help. Why should you choose EverLine Coatings and Services over our competitors? When you choose EverLine for your painting projects you get the EverLine advantage. We are the largest purchaser of paint and supplies in Saskatoon. We purchase our supplies in bulk at a discounted rate so we can save our clients money. In addition to our industry leading cost savings, we have some of the best trained crews in the industry using nothing but the best equipment for the job. 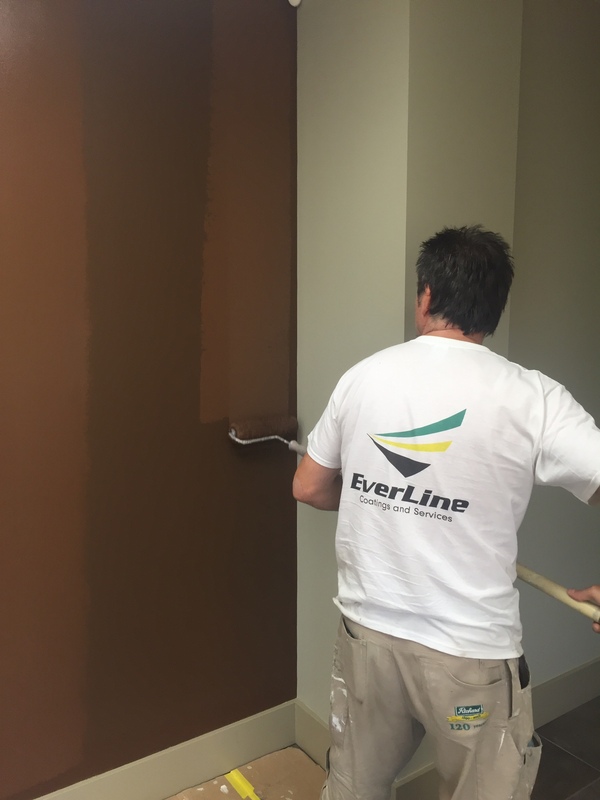 When you choose EverLine to repaint your property, you can feel assured you’ve selected the right team for the job. We aim to achieve perfect results, without leaving a mess, completed on time and within your budget with every project that we undertake. A major contributor to our success and why we are trusted by so many clients is our commitment to the CORE quality system. CORE stands for clear scope, operations reports, reach out, evaluate. This transparency with our clients allows us to ensure we are meeting your expectations throughout every step of our projects. At EverLine Coatings and Services, we are considered the commercial painting experts because of our extensive amount of experience, commitment to delivering the best service, highly trained staff, and top of the line painting equipment. We employ staff that specializes in painting commercial and industrial buildings. When our crew arrives to complete a project, you can be assured you’ve selected the right crew for the job. Our value comes from our professional staff, the best equipment, and products that will survive the elements in Saskatoon. All of these elements combined work together to create a long lasting and quality end product. We openly communicate with all of our clients to understand and set clear expectations of how the job should be done. Once that is completed, we aim to meet or exceed the expectations of our clients to ensure our clients are satisfied with our services. If you are going to be receiving services from EverLine services in the near future, there are a few steps we ask you to take in preparation. If you require help with any of the steps involved with preparation, please enquire about out cleaning, sweeping and other services so that we can help!